Perhaps the most widely known form of energy work, Reiki healing is easy to learn and do, but can have powerful effects. It was started around 1914 in Japan by Dr. Mikao Usui, who received the knowledge of how to do it during a mystical experience. It is usually uses "laying on hands," with the practitioner's hands actually on the body of the client. Reiki uses specific hand positions, corresponding to organs and energy centers. Reiki is a Japanese word meaning "universal life energy." As the Reiki Alliance website describes, the practice of Reiki "applies this energy through touch for the purpose of creating the connection with Reiki." There are now an estimated 500,000 Reiki Masters with as many as 3,000,000 people having been initiated into Reiki throughout the world. While nearly all practitioners are ethical and sincere, it's good to be aware that because Reiki is "taught" through attunement rather than study, it's possible for people to become a "Reiki Master" in a single weekend. So the fact that someone calls himself or herself a Reiki Master can mean a lot (e.g. a lifetime of study, selfless healing, and spiritual devotion)--or very little (i.e. a quick weekend and a couple of hundred dollars). I normally send people to the Reiki Alliance website for more information. 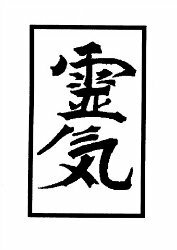 The Reiki Alliance is the organization for traditional Usui Reiki practitioners. Here's the link, but at this writing the site is being overhauled. 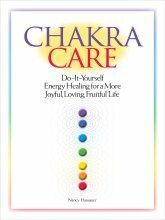 As an alternative source for more information, I recommend this site, reiki.7gen.com. It seems very complete and non-commercial. Return from Reiki Healing to Types of Energy Healing main page.